A potential new flu drug developed by Australian and international researchers could quickly bring future flu outbreaks under control, buying time for specific vaccines to be developed. The new drug is effective against resistant strains of the flu virus, which is notorious for its ability to mutate and find ways to successfully defend itself against flu treatments. 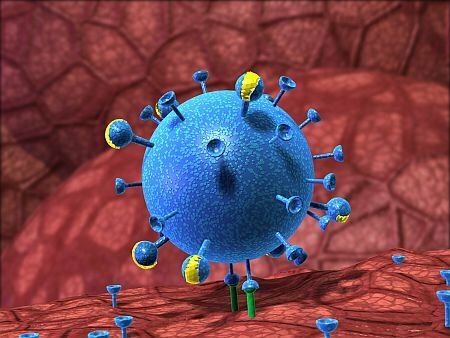 When the flu invades our bodies, each virus particle attaches to sugar molecules on the surface of a healthy cell, then burrows through the cell membrane to get inside and hijack the cell’s reproductive apparatus to produce new virus particles. As the new virus particles re-emerge through the membrane on their way out, the drug prevents the virus particles from detaching themselves from the surface of the cell – and stops them escaping to infect other cells. The drug was developed by a team of researchers from the University of British Columbia in Canada, the University of Bath in the UK, and CSIRO in Melbourne. CSIRO researchers Victor Streltsov and Pat Pilling used the high-throughput crystallography beamline (MX1) at the Australian Synchrotron to obtain finely detailed information about how the drug interacts with the virus. This information was used to improve the drug’s effectiveness. The research was published in Science magazine in February 2013. Click here for the media release from CSIRO. Click here for additional information from CSIRO. Click here for ABC science coverage. Click here for article in The Age. Click here for article in BioSpectrum.